Reach was put together in 2012 by drummer Marcus Johansson and guitarist Ludvig Turner. Together they started looking for band members to complete the group, and found the remaining band members in bass player David Jones and vocalist Alex Waghorn. 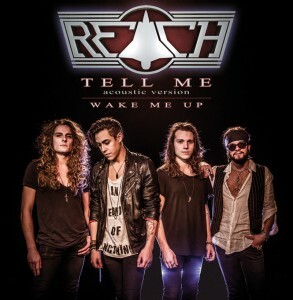 Among the first thing Reach did to reveal this new rock band was to arrange a hard rock cover of Avicii‘s super hit ‘Wake Me Up’, in August 2013. A huge success and about one year later the video has over 1.000.000 views AND still counting.